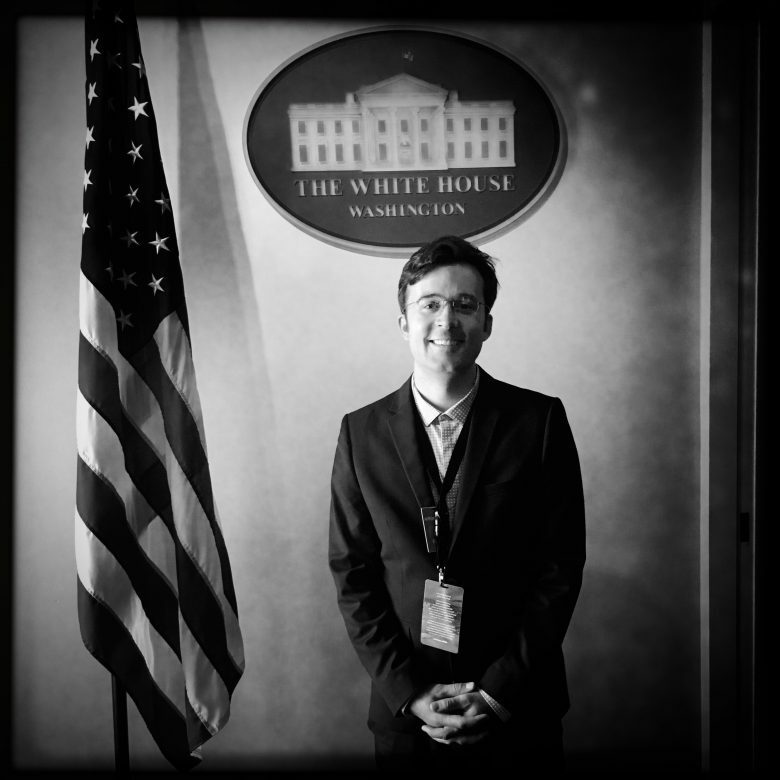 A couple of months ago Symplur was invited to the White House for a workshop dedicated to engaging participants as partners in research. Since that awesome day we’ve been working with patients, providers, designers and other stakeholders to make some of our ideas happen. We’re now ready to announce a few of the many things we’re going to launch as a result of the White House day of listening and co-creating. 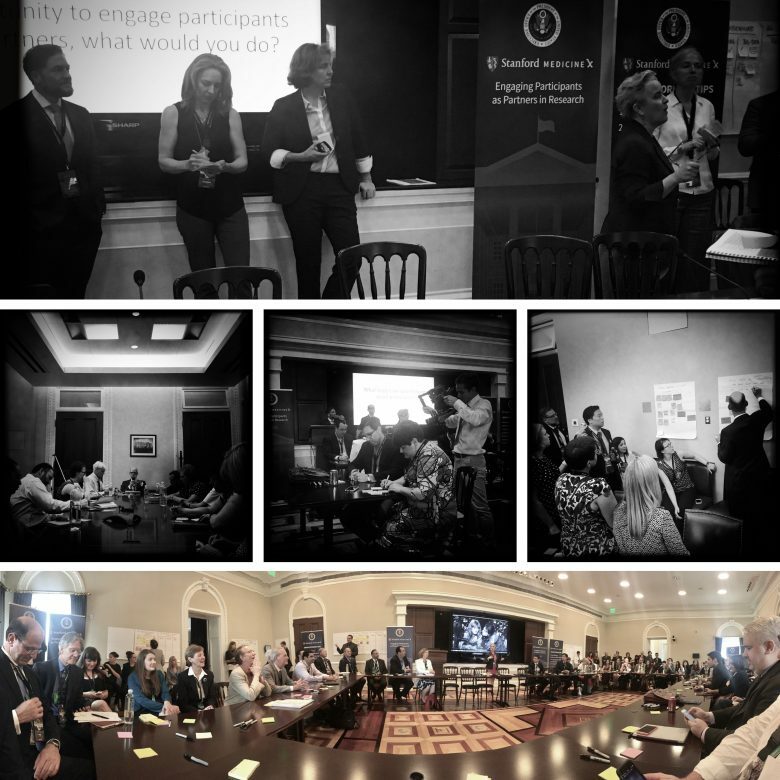 Sharing experiences, “bugs”, and tomorrow’s solutions with other stakeholders including Susannah Fox, CTO of HHS, Megan Smith, CTO of the United States, DJ Patel, Chief Data Scientist of The White House OSTP, and Claudia Williams, Senior Advisor at The White House OSTP. And it’s building on the effort of many to strengthen voices in healthcare that are too often ignored. 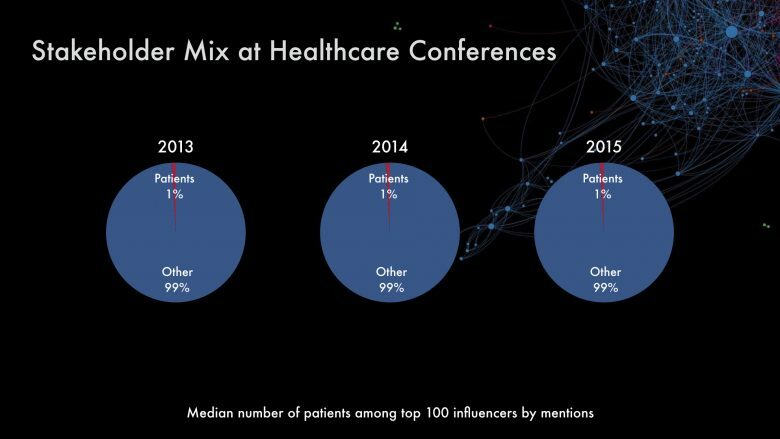 At the opening of Stanford Medicine X that took place last month, Symplur presented evidence showing that patient voices at healthcare conferences have not meaningfully improved over the last 3 years. There are some conferences like Medicine X and others that are leading the way, but surprisingly and very frustratingly the vast majority of healthcare conferences are still in the dark ages. We analyzed social conversations from several thousand conferences to find which voices each conference values as important. The median number of patients found among the top 100 voices was just 1. In other words, the conference attendees found that of the top 100 voices at the conferences, only 1 patient was thought to be of importance. What’s outright depressing is that this number has been stagnant during the last 3 years. We will publish the full research on this as soon as we can. From this finding it is clear that the efforts of many to increase and strengthen patient’s partnership with conferences needs to be taken to another level by all of us. We can not allow this development to remain stagnant without a fight. The inherent value and profit of partnering with patients for healthcare conferences should at this point be self-evident. Much has been written on this based on experimental knowledge and anecdotal evidence. However, we are now starting to see hard data proving the value of such partnerships. Such data was most recently published by The BMJ. Together with Chu, Kadry, Kucharski, Campos, Crockett, Dawson, Clauson, I published evidence showing that conferences with more patients have a larger social conversation, with more participants and higher engagement compared with those with no or fewer patients. This is an outcome that should be welcomed by sponsors, speakers and organizers of conferences. At the White House we had stakeholders from all parts of our world of healthcare: patients, providers, designers, technologists, researchers, caregivers, and organizations representing the full range, from a tiny startup like Symplur to the world’s largest like Apple. What we at Symplur became inspired to do was to shed some light on this “bug” in the small but important space we exist in – healthcare social media. And we’re going to join this fight armed with the only tool we know: data. Over 7,000 healthcare conferences have registered their hashtag with the Healthcare Hashtags Project. Symplur is going to ask these organizers a few more questions. Starting with questions like, “do you have patients as attendees?”, “do you have patients as speakers?” and all the way up to asking if the conference was co-designed with patients and other stakeholders as defined by Everyone Included™. As first announced on the closing day of Medicine X, we’re launching the new registration process for conference organizers today. The next steps will be launched when the dataset is matured enough and when we’re ready engineering-wise. We hope this can evolve over time to become a useful resource for sponsors, speakers and attendees during their process of evaluating various conferences. Thank you so much to the patients, providers, designers and conference sponsors that have helped shape these ideas and processes during the day at the White House and the time since. This is a work in progress, we have more planned but please let us know how we can take it even further. As evident from the data, we’re not progressing the way we would like, so let’s push harder in all the ways available to us.